Have a question? Check here first to read Zen's frequently asked questions. What is a real estate commission advance? A real estate commission advance is a financial service where an agent sells a portion of a pending commission for an agreed upon fee. Simply put, it grants access to an earned commission for the real estate agent. 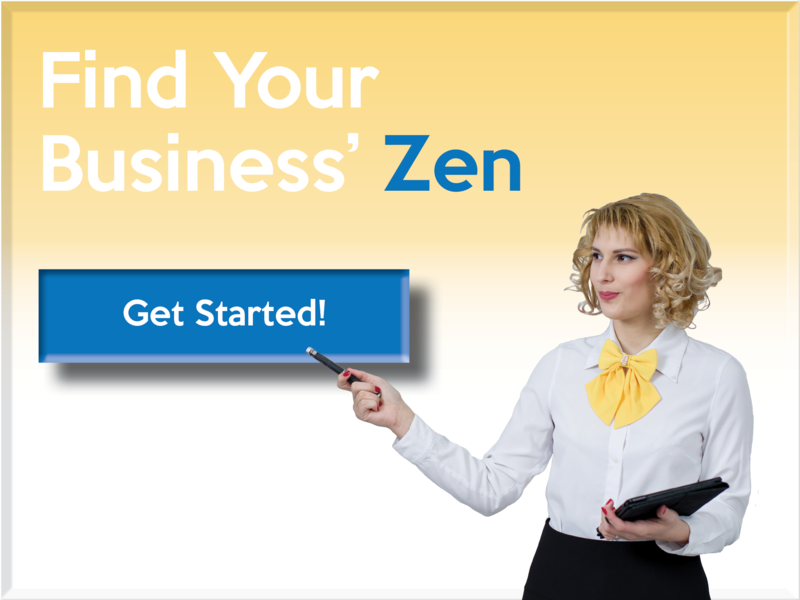 Does Zen provide advances to Brokers? At this time, Zen does not work with or provide commission advances to Brokers. Is there a limit to the amount I can receive for my commission advance? 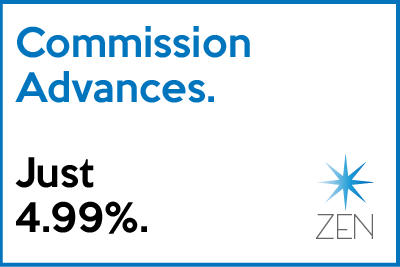 Zen Commissions will advance up to 80% of your net commission for the deal you apply for. We provide commission advances up to $15,000. What are the benefits of a commission advance from Zen? Cash flow is important to every single business. Zen Commissions allow agents to fill gaps in their cash flow by giving access to real estate commissions before closing. It also helps that Zen offers the lowest fee in the industry. What happens if my sale doesn't close? The good news is that 90% of all real estate sales close as expected. If a sale you have an active advance on falls through, you'll replace it with a future sale's earned commission. How much will my Zen commission advance cost? Zen Commissions offers the lowest cost in the industry no matter what timeline you're on! As an example, if you were to request an advance in the amount of $5,000, the cost would be $249.50 if the sale closes in two weeks time. If the sale happens within 16-45 days, your cost would be just $599.50! To get a better idea of what it would cost, visit our Low Fees page. Are Zen Commissions tax deductible? Since the proceeds of your Zen Commission are used for your real estate business, these costs can be deducted from your taxes. Be sure to consult with a tax professional or attorney. What if my sale's closing is delayed? A grace period is included in your Zen Commission agreement. If things get off track you'll have an additional 10 days beyond our 45 day period without incurring any penalties. How do I receive my real estate commission advance? The process from application to funding takes up to one business day. Your real estate commission advance will be wired directly to your account via ACH transfer. How long does it take to receive the funds in my account? Once everything has been verified and your real estate commission advance is approved your funds will arrive to you on the same day! There can be a bit of a delay when funding your commission advance into a credit union. What types of real estate commission advances does Zen advance? Zen will advance your commissions on most types of real estate transactions. Pending residential sales, short sales, and commercial resale properties all qualify for a Zen real estate commission advance. Zen does not provide advances on active listings. How do I apply and what do you need to get started? Applying is fast and easy! Just visit our Apply Now page and follow the steps through the process. Answer some questions, upload your documents and submit. Done. How does Zen Commissions receive payment when my closing happens? Your advance is automatically repaid when your sale closes. Your chosen Title/Settlement company receives a commission disbursement authorization signed off by your Broker. This instructs them to send the portion of the commission that has been sold directly to Zen Commission at the close of escrow. Does Zen Commissions distribute or sell my personal information?